Here is a cool interview Michael did with Backstage 360 at NAMM 2019. His portion starts around the 6 minute and 30 second mark. Enjoy! 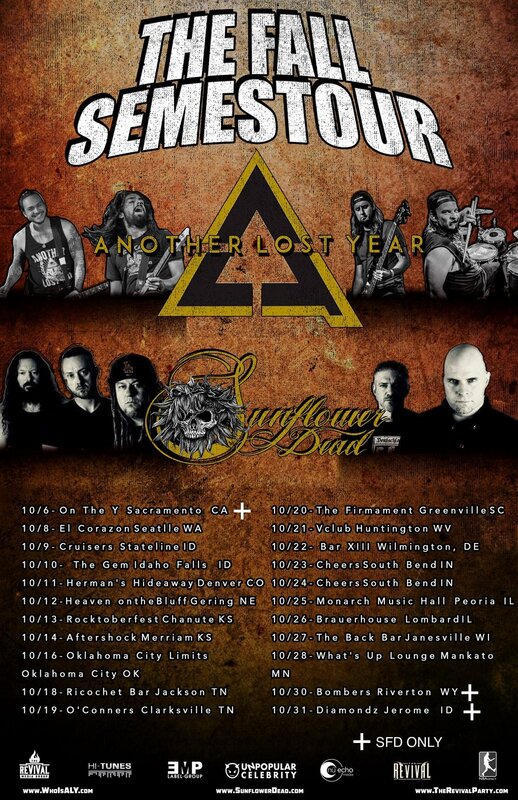 Sunflower Dead signs on with Artery Global to handle booking! We have just signed on with Greg Harper and Artery Global to handle our booking as we move forward and prepare for the release of our next single ‘Turn Away’ and it’s accompanying video that is being edited as we speak. Check out all the info here and get some in depth info on our song Victim, Adult Decisions and Being in SFD in 2019. Last week, we filmed the video for the radio edit our of new single Turn Away with Matt “Lord” Zane in Glendale, CA. The song will impact radio nationwide in early April and expect the video to drop shortly after that. Victim in the TOP 40 on the Mediabase Active Rock Charts for the 5th Week in a ROW!!!! 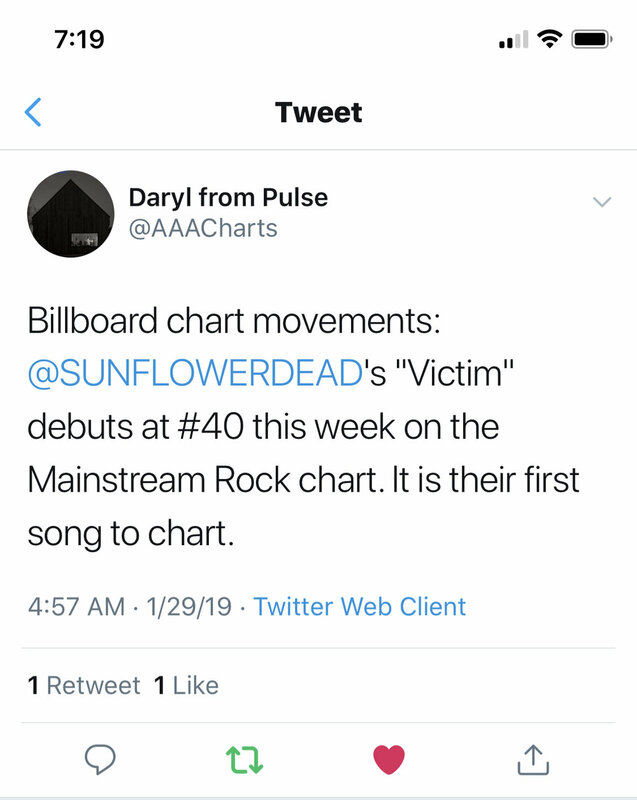 Even though the Sunflower Dead radio campaign for our song Victim is over, we are still on the Mediabase Active Rock Charts at #40. That’s 5 solid weeks in the Top 40!!!! New Podcast Interview with Michael about all things SFD, Social Anxiety and No Makeup on The Liquid Conversations, Available Now!!! Check out this interview Michael did with Shawn Sixx! Victim Peak Charting Positions at Radio!!!! We wanted to take a moment to thank the SFD Radio Team over at Concrete Marketing for doing such an amazing job with our first single ‘Victim’ off our newest album COMA (available through EMP Label Group digitally and in stores now). This was the band’s third foray into radio and ended up bringing us our highest charting positions to date. For those that don’t know, radio, like all things in life is a combination of money and political value, which SFD doesn’t have much of either on the rock totem pole. The people over at Concrete were able to make things happen for us and get SFD back in the game at radio after not having a single released since It’s Time To Get Weird, 2 and half years ago. 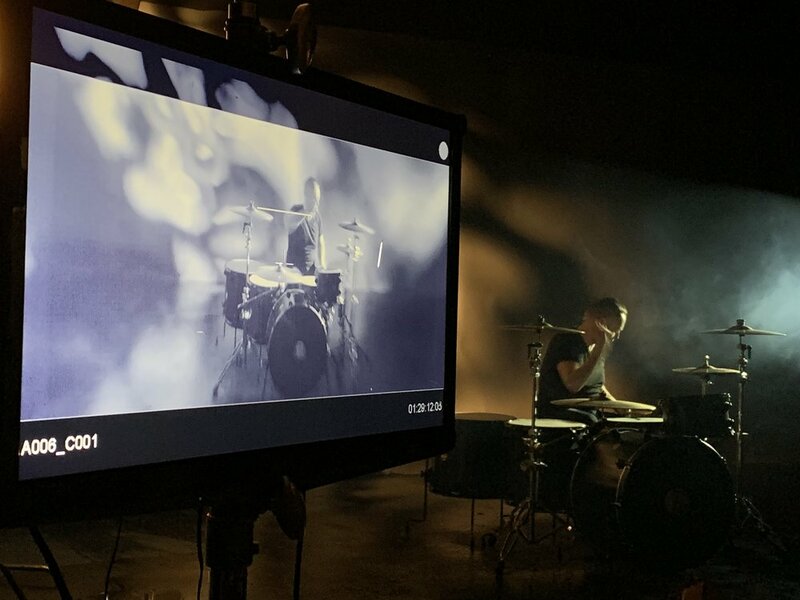 We will be preparing the second single from the album shortly, shooting a video for it, picking an impact date at radio and LOOKING FOR TOURS to bring this special record to each and every one of you live. Victim Jumps up to #36 on the Billboard Mainstream Rock Charts!!!! Victim has now moved up to #36 on the Billboard Mainstream Rock Radio Charts. This is our highest chart position on this chart to date!!! Victim has now moved up to #36 on the Mediabase Active Rock Radio Charts and is now our highest charting single to date and still rising!!!! Victim becomes our first single to Crack the Billboard Mainstream Rock Top 40 Radio Charts! Our current single ‘Victim’ has just cracked the Billboard Mainstream Rock Top 40 Radio Chart coming in at #40. This is our first single to crack this Billboard Top 40. VICTIM Cracks the Mediabase Top 40 Active Rock Charts at #39 This Week! 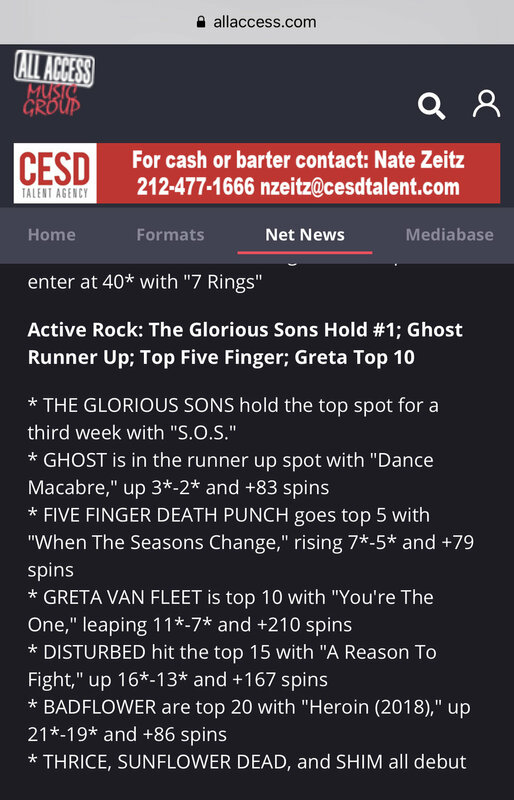 Our current single Victim in it’s 14th week on the charts has just cracked the Mediabase Top 40 Active Rock Radio Charts coming in at #39 this week and still rising!!! More COMA Album Reviews, Press Links and Best Of 2018 's for SFD!!! Check out the SFD Love!!! Sunflower Dead will be playing our first show of 2019 in So Cal at Gallagher’s Pub on Main Street in Huntington Beach, CA with our bro’s Livid. This is a tiny place and this show will be packed so get there early!!! C O M A Reviews and Press starting to come in! Since the release of our new album C O M A on 10/19 through EMP Label Group, reviews and press have been steadily coming in. Here are a bunch of links to read all about it! That’s right, we have the merch store back up here at sunflowerdead.com. You can now get the brand new skullflower logo tshirt design we have been selling on the road, plus our most popular hoodie design, along with all 3 of our albums in the STORE section. All items are on sale for the holidays!!!! That’s right, our new album C O M A is now available for your streaming enjoyment on Spotify and all streaming services. Today is the day!!! Sunflower Dead’s new 9 track album C O M A produced and mixed by Dave Fortman is now available in stores through EMP Label Group, online at EMPMERCH.COM, all digital outlets and streaming services.